Need for Speed: ProStreet has taken the Need for Speed series in a different direction of gameplay. Unlike previous versions of Need for Speed, where racing scenes are set around street with moving traffic, all racing in ProStreet takes place solely on closed tracks, thus making it the first game in the series not animating illegal racing behavior, which in turn features no police as a result. Performance tuning feature is enhanced, compared to previous versions, especially Autosculpt. Unlike Carbon, where only certain body kit can be autosculpted, this can now be applied to all body kits. Furthermore, every adjustment through autosculpt impacts the cars' aerodynamics. 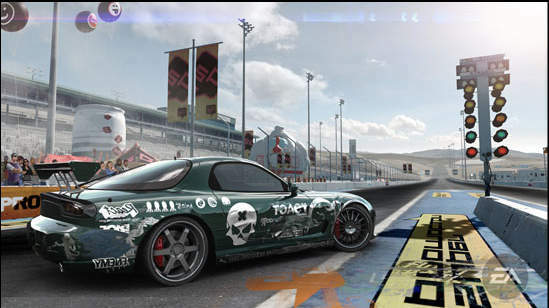 In ProStreet there are four different game modes: Drag (a race in a drag strip, point to point), Grip (similar to Circuit races but with different types of Grip races), Speed (similar to a Sprint race) and Drift. Drag race is simply a 1/4-mile, 1/2-mile drag, or a wheelie competition race, where the first to cross the finish line or produce the longest wheelie wins. In Grip races, there are different modes (normal Grip, Sector Shootout and Time Attack), the player has a choice to race rough, such as ramming, smashing, or blocking the opponent in order to win the race, or race cleanly and follow the given racing lines. In Speed Challenge races, players must cross the finish line first to win the race (in a similar fashion to how a Sprint race works). In Top Speed Run races, players must cross through checkpoints with the highest possible speed while accumulating the highest speed to the finish line to win the race (similar to how a Speedtrap race in Carbon and Most Wanted works). In drift, players drift to emerge as the driver with the most points scored in the event. 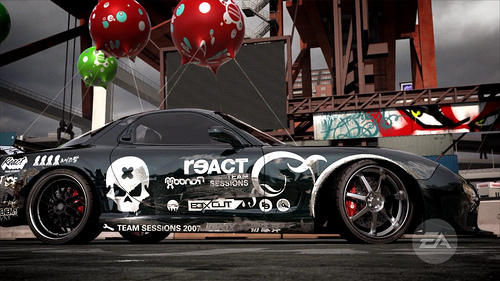 Other than gameplay itself, ProStreet features detailed damage modelling. Unlike previous Need for Speed games where damage are relatively little or non-existent altogether. The new damage system introduces more depth of damage (except on the PlayStation 2 version, where the damage modelling has been limited due to the PS2's lack of processing power) where any object in the game world has the potential to inflict cosmetic damage, light damage, or heavy damage on a car, and even has the potential to total a car immediately after impact. Also, in accordance to the fact that Autosculpting any body parts will impact aerodynamics, these changes can be tested in an enclosed chamber called the "Wind Tunnel" (not available in the PlayStation 2 version).